If it’s fun family wordsearches you’re after, then Family Wordsearch is just for you. You’ll find recipe puzzles, readers’ puzzles and a whole host of super themed wordsearches. 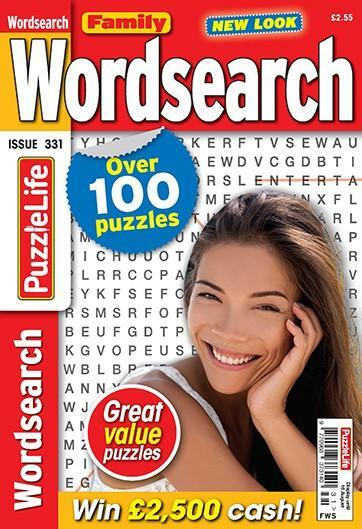 With more than 100 puzzles and a super £2,500 cash competition in every issue, Family Wordsearch is fantastic value too. Be the first person to tell us what you think about Family Wordsearch and you'll save £2.50 on your next purchase! This is published 13 times per year, please allow up to 4-6 weeks for your first delivery. Your subscription will begin with the next available issue.